It soon became evident that the system of collective teaching at Mount Pleasant was the solution. That it gave maximum results, with minimum expenditure of enegy and time, was proved, when on the publication of the first General Class List of Queen's Scholars in 1872, the Liverpool candidates obtained 13 places in the first 100 and one in the first ten. When the Liverpool Council of Education founded prizes for the pupil teachers of the city who gained the highest places on the Queen's Scholarship List, they were won by Catholics in nine years out of ten. These successes attracted attention of other providers of education and as a consequence similar centres for the collective teaching of pupil teachers were founded in Liverpool, London and many large towns. Over the years the system of teaching in these centres changed and developed with half the day being spent teaching and the other half at lessons in the centre, for example. 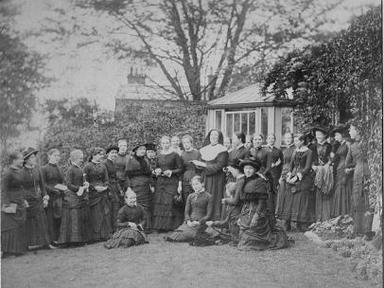 Many of the Sisters' pupil teacher centres gradually merged with the secondary schools during the early years of the twentieth century as the training system changed and access to secondary education became better funded and more widely available. In 1853, two years after the Sisters had arrived in Liverpool, the subject of opening a teacher training college for Catholic women was raised with the superior of Mount Pleasant by the government inspector of schools, Mr Stokes. It was March 1855 before Mr Allies, the secretary of the Catholic Poor School Committee, was deputed to visit Namur and request the acceptance of the direction of a training college assisted from funds of the committee. A correspondence was entered into as a result of the visit and the Mère General offered the Liverpool house as the place where the training college would be started. In October 1855 the first Sisters who were to take the government examination began their studies. Sister Mary of St Philip (Frances Mary Lescher) came from Namur to begin the college. 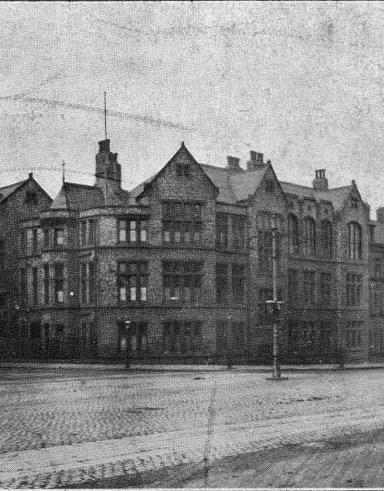 On 19th January 1856 21 Queen’s scholars entered as the first students of the Liverpool training college. One private student joined them. After just a few months it was necessary to provide additional accommodation. 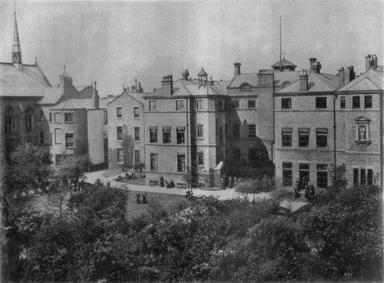 Plans were designed by Hansom and the new house was built to accommodate 60 students and was ready to be inhabited by the end of 1856 and was completely finished by February 1857 when about 36 students entered as pupils. The Sisters were invited to Glasgow by the Canons of the Cathedral Chapter with the sanction of Archbishop Eyre. Canons Chisholm and Cameron went to Liverpool in spring 1893 to discuss the possibility of establishing a training college in Scotland. In May 1894 the project was formally laid before the Canons in Chapter and Canon Macintosh, the Diocesan Inspector, with Canon Chisholm of Paisley, went to Liverpool, deputed by the Archbishop, to propose the project to the Superiors at Namur. They had a house which they wanted the Sisters to go and see. 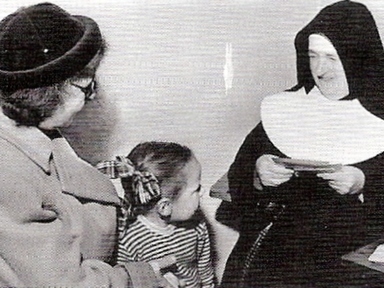 In June, Sister Mary of St Philip (Frances Mary Lescher) and Sister Mary of St Wilfrid (Mary Adela Lescher) were sent by the Mère General to examine matters. Two days of house hunting resulted in no suitable locality being found and the foundation was postponed indefinitely. In November Canon Chisholm arrived at Mount Pleasant with news of an ideal spot on Dowanhill on the highest ground above the smoke and fog, standing in its own grounds. The Canon then travelled to Namur to obtain leave for its purchase. Sister Mary of St Philip and Sister Mary of St Wilfrid went to Glasgow again and with the Mère General's permission, agreed upon the purchase in her name and on 20th December permission was obtained from the Scottish Education Department to open the college. The house originally purchased was one of two villas. The owner of the second was very reluctant to leave, but seeing that he was to have nuns for neighbours, he agreed to sell and the house was bought by the Archbishop and rented by the Sisters. The Convent was opened on 21st August 1894. 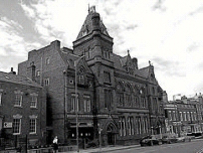 The Training College opened on 8 January 1895 with 23 first year students and Sister Mary of St Wilfrid as Principal. In September of that year, a further 22 students enrolled. Another large house at the end of Bowmont Gardens was purchased in May 1895 and used for dormitory accommodation.